It’s not that no one cares, it’s that the media outside Africa and the Arab World doesn’t really give a rip about the football played in the Saharan nations, and as a result people are left in the dark. The only thing I saw making world news from there were the 2011 riots that led to the Arab Spring despite (or maybe because of) the sheer, senseless violence. As such, maybe there are quite a few other guys like Mohamed Salah playing at the EPL, but who’s looking at them when the season is heating up at the top European Leagues and the UEFA Champions League knockout is just around the corner? I HAVE A GROUP IN WHATSAPP ABOUT FOOTBALL, SOMEONE TO COME IN? LEAVE YOUR COMPLETE NUMBER HERE. LÁ VAI O PORCO AO COLO! Ó BOI, VOLTA LÁ PARA O DN, JN E O NOJO, PASQUINS PORQUISTAS ONDE COMENTAS! Ó CORNUDOO, TU DEMORASTE DÉCADAS ATE GANHAR ALGUMA COISA NA EUROPA! FOSTE CAMPEÃO EUROPEU 25 ANOS DEPOIS DO BENFICA SE TER SAGRADO BICAMPEÃO EUROPEU! E TU VIVES À CUSTA DO EUSÉBIO PORQUE NADA GANHAS HÁ 3 ANOS! O QUE ERA O PORCO ANTES DOS ANOS 80? AHAHAHA LIGO A FUTEBOL DESDE A ÉPOCA 2013-14 E NUNCA VI O PORCO GANHAR UM TÍTULO! antes dos anos 80? somos o clube portugues de mais sucesso no estrangeiro, bicampeoes mundiais, vencedores da unica CL q veio para Portugal, e de mais uma serie de coisas q acho q nem na playstation ganhas. O Bela Guttmann continua a gostar de ti , e eu dele. Bela, da-me o #56. Volta la para o buraco infecto onde nasceste. Acabei de comer a tua namorada. és lampião, e agora és corno (acho q já eras…). Levou com um bicampeão do mundo, ficou super-satisfeita. Vai la dizer ao bayern, ao real, e a todos os outros q os titulos ja nao contam…deve ser por nao ter,os defrontado o campeao da oceania. mas nao penses muito nisso, isso, a Champions League, a taca eufa, a liga europa, a supertaca europeia, nada dessas modernices sao para ti. Incha corno! AHAHA TÍPICO BOI PORQUISTA SEM ARGUMENTOS QUE SE VIRA PARA AÍ! Ó BOI, JÁ TU ÉS PANELEIROO! AI LEVOU? QUEM VENCEU 2 MUNDIAIS DE CLUBES DE SEGUIDA, PANELEIROO ENCORNADO MENTIROSO? Ó BOI, OS TÍTULOS CONTAM MAS COMO CAMPEÕES INTERCONTINENTAIS! POR ALGUMA RAZÃO A COMPETIÇÃO SE CHAMAVA TAÇA INTERCONTINENTAL E NÃO MUNDIAL DE CLUBES QUE ENTRETANTO APARECEU E SUBSTITUIU A ANTERIOR, SEU ANALFABETO QUE NEM SABE LER UMA NOTÍCIA! AGORA O VENCEDOR DE UMA PROVA CHAMADA TAÇA INTERCONTINENTAL É CAMPEÃO MUNDIAL E NÃO CAMPEÃO INTERCONTINENTAL, PANELEIROO ENCORNADO? E POR QUE VENS FALAR NO BAYERN E REAL E NOUTROS CLUBES? ESTÁS A ADMITIR QUE SE FOSSE O TEU PORCO A VENCER UM MUNDIAL DE CLUBES POR ALGUMA RAZÃO NÃO SE PODERIA CONSIDERAR CAMPEÃO DO MUNDO? PORQUÊ? LOOOL E O QUE TEM ISSO? CAMPEÃO DO MUNDO É QUEM VENCE UMA PROVA COM APENAS 2 EQUIPAS, 1 DE CADA CONTINENTE? LOOOL E PARA TI VENCER UM TÍTULO É UMA MODERNICE QUE NÃO APRECIAS! INCHA, BOI ENRABADOO SEM ARGUMENTOS! AHAHAHA PELO MENOS MUDA DE IMAGEM, SEU PAROLO! TÍPICO MORCÃO AZEITEIRO DO PORCO ANALFABETO! TAMBÉM TENS AQUELE SOTAQUE GALAICO-PORTUGUÊS PROVINCIANO E AZEITEIRO E PASSAS A VIDA A DIZER PALAVRÕES COMO QUEM RESPIRA COMO TODOS OS NORTENHOS PORCOS E MAL-EDUCADOS? TAMBÉM DIZES “CARAGO”, SALOIÃO? 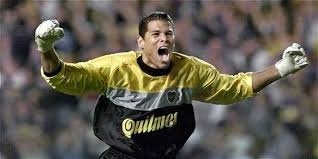 Ó BOI, MESMO QUE TIVESSEM VENCIDO 2 CAMPEONATOS DO MUNDO DE CLUBES OU ATÉ DUAS TAÇAS INTERCONTINENTAIS COMO VENCERAM COMO É QUE SERIAM BICAMPEÕES DO MUNDO SE VENCERAM EM 1987 E 2004 E NÃO, POR EXEMPLO, EM 1987 E 1988 OU EM 2004 E 2005? ÉS MESMO BURRO, OTÁRIO! BICAMPEÃO É QUEM VENCE ALGO 2 VEZES SEGUIDAS! FOSTE DUPLAMENTE ENRABADOO, SEU PANELEIROO AZEITEIRO DA MERDAA DO NORTE ENCORNADO! Ó BOI, QUANTOS ERROS DESTE SÓ NESSE COMENTÁRIO? VAI LÁ APRENDER A ESCREVER, TÍPICO NORTENHO SALOIO ANALFABETO! E JÁ QUE FALAS NA OCEÂNIA (E NÃO “OCEANIA” COMO TU ESCREVESTE, SEU ANALFABETO DE MERDA), SE NÃO SE DEVIA DAR UMA OPORTUNIDADE A UMA EQUIPA DE TODOS OS CONTINENTES E AS FINAIS ERAM SEMPRE DISPUTADAS POR DECRETO POR UMA EQUIPA EUROPEIA E UMA SUL-AMERICANA COMO É QUE A EQUIPA AFRICANA QUE CHEGOU À FINAL E DEFRONTOU O BAYERN NO MUNDIAL DE CLUBES DE 2013 E A EQUIPA ASIÁTICA QUE CHEGOU À FINAL E DEFRONTOU O REAL MADRID NA ÚLTIMA EDIÇÃO E QUE ATÉ CHEGOU A ESTAR A VENCER E SÓ PERDEU NO PROLONGAMENTO LÁ TERIAM CHEGADO, SEU BURRO HUMILHADO? Ó BOI BURRO, TAMBÉM SEPARAS A TAÇA UEFA DA LIGA EUROPA? LOOOOOL POIS NÃO SÃO! NÃO ERA NASCIDO QUANDO FORAM CAMPEÕES EUROPEUS EM 1987 E 2004, QUANDO VENCERAM A TAÇA UEFA EM 2003, QUANDO VENCERAM A SUPERTAÇA EUROPEIA EM 1988 E AS TAÇAS INTERCONTINENTAIS EM 1987 E 2004! QUANTO À LIGA EUROPA DE 2011, JÁ ERA MAS TAL COMO TE DISSE SÓ LIGO A FUTEBOL DESDE A ÉPOCA 2013-14 E POR ISSO NUNCA VI O PORCO GANHAR UM TÍTULO E COMO TAL TAMBÉM NÃO VI O PORCO GANHAR ESSA COMPETIÇÃO DA UEFA! ALIÁS, NUNCA VI UM PORCO GANHAR UM TÍTULO, SEJA NACIONAL OU DA UEFA! AHAHAHAH CHUPA, BOI! OLHA UM ADEPTO DO PORCO A VIR EM DEFESA DE UM DO ZMERDING! MAIS UM DRAGARTO! this is a joke. You put Landon Donovan, two chinese, two egyptians and countless africans and asians. 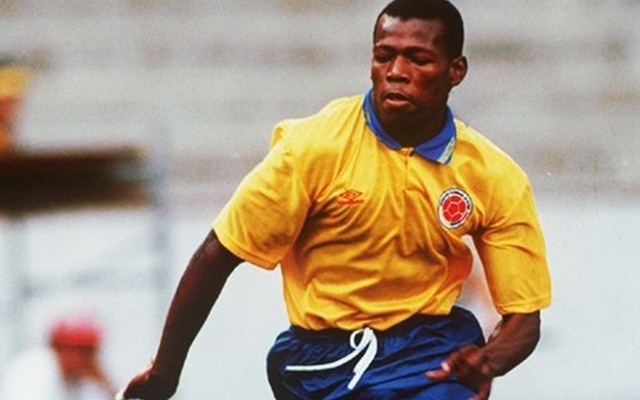 ¿Where is Teófilo Cubillas? ¿Elías Figueroa? ¿Kempes? 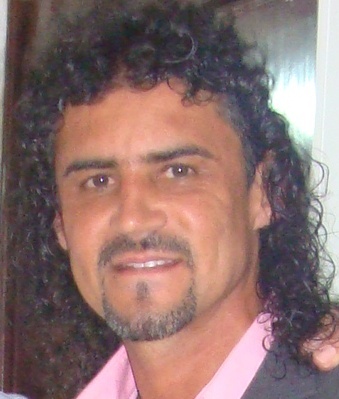 ¿BATISTUTA? 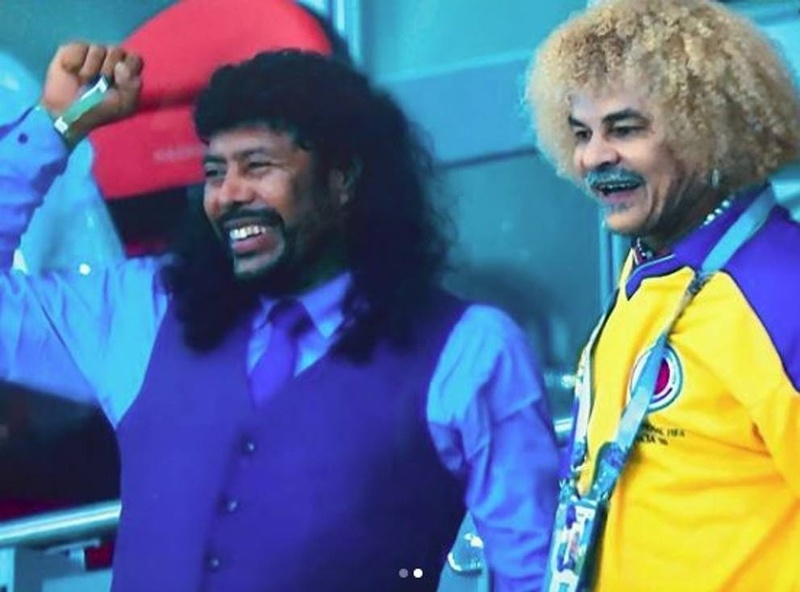 ¿Carlos Valderrama? ¿Zamora? ¿Fontaine? Horrible selection. This is not legend’s players this is choosing the best to please most markets. You are all a bunch of illiterates here of course ! it says twice ”PHASE ONE” ! Nevertheless I’d like to know what the criteria was for this first draft , why 48 players and not rounding it up to 50 ? etc. India?!? Do they seriously have legendary footballers there?! I thought the only thing they could play on world class level was cricket!!! Exigimos la presencia de estos dos jugadores en la lista!! !